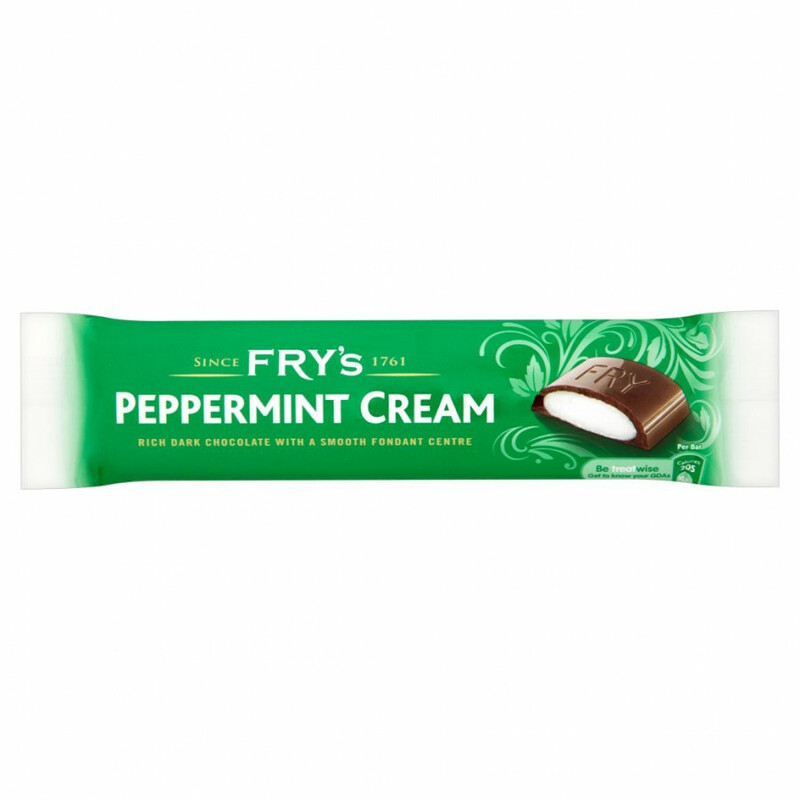 A delicious creamy peppermint center, coated with fine dark chocolate. J.S. 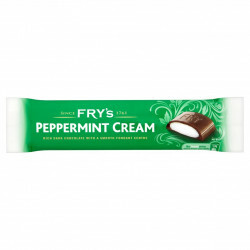 Fry & Sons was originally a British chocolate company owned by Joseph Storrs Fry and his family. In 1847, the Fry chocolate factory, located in Union Street, Bristol, devised the first chocolate bar suitable for widespread consumption. The company began to produce the Chocolate Cream Bar in 1866. In 1919 the company merged with Cadbury's. Chocolate with a peppermint flavoured fondant centre (52%). Ingredients: sugar, cocoa mass, glucose syrup, humectant (glycerol), vegetable fats (palm, shea), cocoa butter, emulsifiers (soya lecithin, E476), flavouring. For allergens, see ingredients in bold. May contain nuts, wheat.